My thanks to the Meridian Library book for my copy. It is always an entertaining thriller to read an Alex Delaware and Milo Sturgis story and this one did not disappoint. Alex is called to help Milo with a case. The body is located in the library of a Pacific Palisade home. It is minus the face and hands and no identification on the corpse. The homeowners had never seen or heard of the man.On one side of the home is a man noted for his weird and exotic cartoons. He refused to talk with Milo and his detectives stalling the investigation. The case takes surprising turns and Alex finds his take talents are needed. Milo needs to find an answer before there are more deaths. Is there a serial killer lurking in the neighborhood? 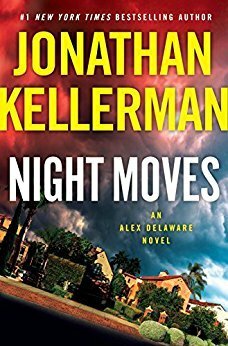 This entry was posted in Books, TBR PILE, Uncategorized and tagged Alex & Milo, Jonathan Kellerman, mystery, Serial killer, Thriller. Bookmark the permalink. Thanks for sharing your review. I’m glad you like these books so much.